The City of Albany Water Reclamation Facility saves an estimated $66,000 in annual energy costs by participating in Strategic Energy Management, which focuses on identifying no- and low-cost operations and maintenance improvements. Plant employees worked with Energy Trust for 11 months, receiving training and tools, and developing skills to identify energy-saving opportunities that deliver significant long-term savings. They developed an energy management policy, set an energy savings goal and formed an energy team to implement energy-saving strategies and track progress. Employees teamed up with Energy Trust in a day-long “energy treasure hunt,” fanning out across the plant to examine processes and procedures, review operating schedules and look for energy-saving opportunities. Energy Trust provided web-based tools so Albany can track energy use in real time and normalize energy use for load, weather and other variables. 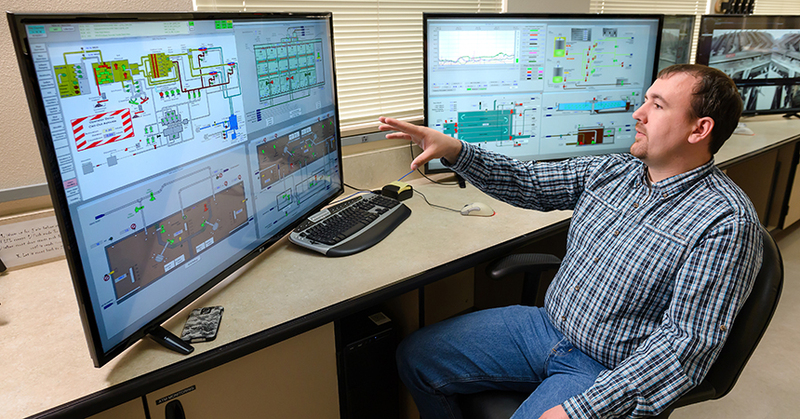 “Strategic Energy Management taught us how to optimize our entire process in a way that will persist,” LaRoque said.